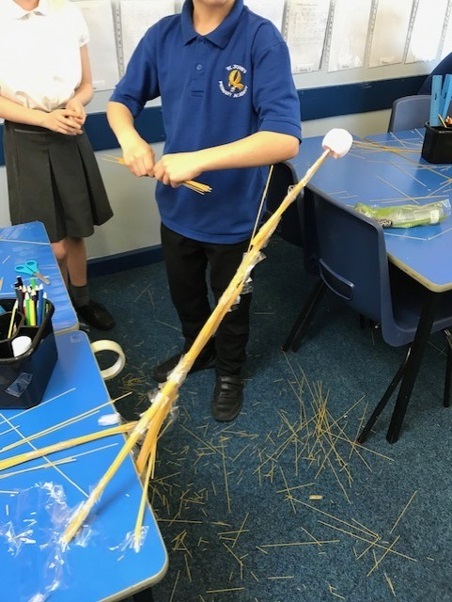 4JG were challenged by Mr Gibson to make a tower of spaghetti that can support a marshmallow. The children were given no equipment and after a few confused looks they got started! Working in groups, the children began building! After some quick discussions they each came up with a basic design and elected a spokesperson who were responsible for talking to Mr Gibson and asking for things. Within a few minutes, groups started asking for tape and scissors to help build their tower. After a few minutes, we stopped and discussed our feelings and ideas as a group. A this point the children were still a little unsure about how to achieve this task with some groups feeling more confident than others. We discussed what we thought was going well and shared some building tips. They came to the conclusion that bundling the spaghetti together and securing it to the table would get the best results. After a few more minutes of building time, the towers began to emerge! We stopped again and talked about how we were feeling now after we had had a chance to have a proper go. The children were much more positive about the task and were confident that they could to it. They couldn’t wait for Mr Gibson to stop talking so they could return to the building! 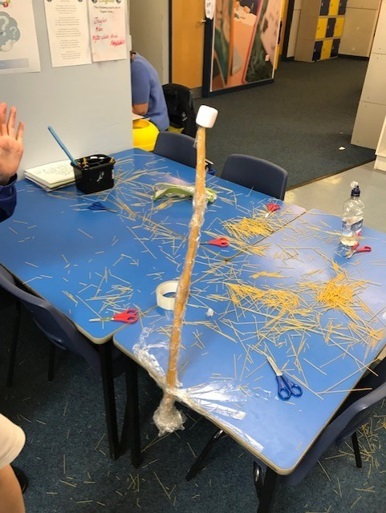 At the end of the challenge, every tower was build, was freestanding and held a marshmallow! Mr Gibson was really impressed with the teamwork and the resilience that was shown by the class. At the end of the activity, the children were really proud about what they had done! 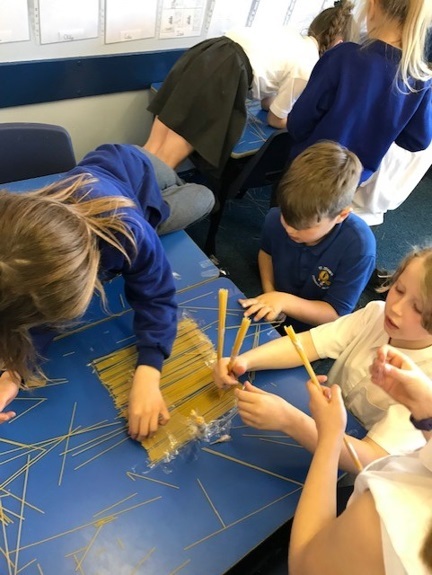 A growth mind-set was key to completing this challenge: many of the children began the challenge nervously and some assumed that it could not be done! 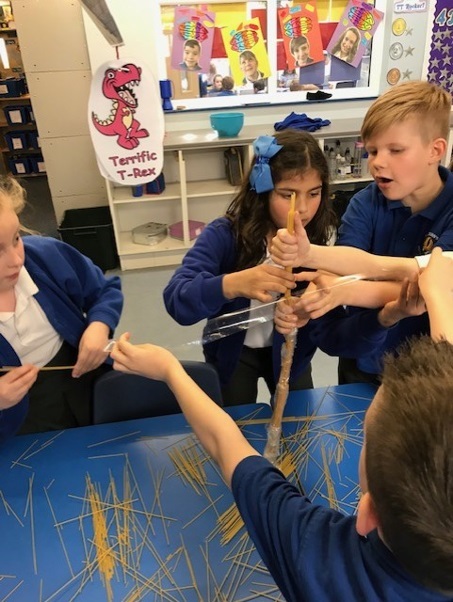 By the end, they were confidently building as a team, helping to encourage each other and keep trying until they found success!